The year of 2017 saw a lot of comedy films being released within its 12-month span. From January to December, comedic feature films were released during their 2017 theatrical run. Some found success like mainstream hits Girls Trip and Jumanji: Welcome to the Jungle, some were big contender for the award season like Lady Bird and The Big Sick, to mediocre sequel spin-offs Pitch Perfect 3 and Bad Moms Christmas, to remake flops like CHiPS and Baywatch, and forgetful duds like Fist Fight and Snatched. These films did a lot for varying different reasons. Some found comedic gold, some found critical praise, and even some found distaste from moviegoers, disappearing into the background of all the 2017 theatrical releases. Now, with the year of 2018 already in full swing, Warner Bros. Pictures (and New Line Cinema) and directors John Francis Daley and Jonathan Goldstein present the first big comedy film of the year with the movie Game Night. Does this comedy-action feature finds its stride or does it fail strike a humorous balance with its viewers? Falling in love over a competitive games of party competitions, Max (Jason Bateman) and Annie (Rachel McAdams) spend their weekends hosting a traditional game night their house, where their friends (Kevin Lamorne Morris), his wife Michelle (Kylie Bunbury), Ryan (Billy Magnussen), and his “date-of-the-week” Ryan happens to bring over to play everything from charades to a regular board game. 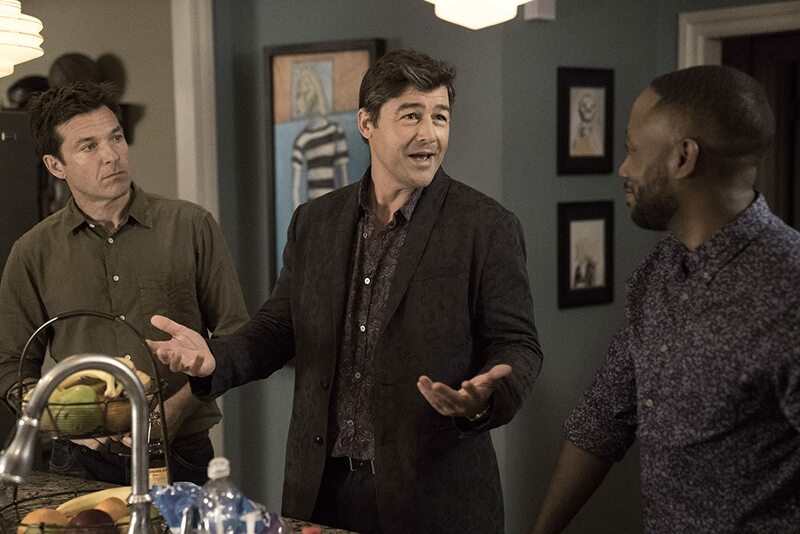 One week, their routine is disrupted by the arrival of Max’s successful brother Brooks (Kyle Chandler), who’s in town for business. After humiliating Max by beating him once again, Brooks suggest the group come to his house the following for a game night like no other. When everyone arrives, along with Ryan’s new date Sarah (Sharon Horgan), Brooks reveals he’s playing to mix things up by staging a murder-mystery game for them to solve, with the winner getting the keys to his shiny new car. However, when people who appear to be actors break into Brook’s house and take him away through brute force, kicking off the night’s festivities. Due to the authenticity of the staged murder-mystery, the gang believes that the real kidnapping of Brooks was part of the game. Within time, as the night progress, Max and friends find it difficult to tell was is real and what was part of Brook’s planned façade as things begin to escalate to a life or death situation. Well, like I said….2017 did see a lot of comedy films being theatrically released. A few of them I did miss (i.e. The Big Sick and Lady Bird), but majority of them I did see. That being said, most of them were of a mixed bag of results. Personally, my two favorite comedy 2017 comedy films were Girls Trip and A Bad Moms Christmas, both of which I loved when I initial saw them (in theaters) and love to rewatch them at home on Blu-Ray from time to time. To me, Jumanji: Welcome to the Jungle had its moments, but could’ve slightly better (still…. I’m going to buy it when it comes out), while Fist Fight, which had a humorous premise, was painfully dull and is completely forgetful. Likewise, Snatched, Baywatch, and CHiPs were literally garbage and were just downright horrible for not being funny and lacking a sense of cinematic entertainment or even just plain fun. All of these negative points on comedy films kind of hints that Hollywood needs to go back “to the drawing board” on how to ultimately shape a comedy film as the ones that they are released are either half-baked recycle properties (i.e. I’m talking about the 2018 release of the comedy remake of Overboard) or just stale concepts. This, of course, brings me back around to my review for Game Night. While I really didn’t hear about the movie during it’s initial concept and film, I remember seeing the film’s trailers and was quite intrigued by it. Naturally, the film’s setup premise was something worth noting (i.e. the idea of a game night gone terrible wrong) as well as the recognizable cast. With those two main components, I believed that Game Night had the potential to be a solid comedy endeavor for the start of the 2018 year. So, I went go to see the film at my local theater. What did I think of it? Well, while the movie had it moments of being funny and entertaining, it just wasn’t enough. Essentially, Game Night just doesn’t have enough to memorable or even an instant classic. It’s not really disappointing nor is it super fantastic. It’s just stuck in the middle of being adequate within the comedy-action genre. Game Night is directed by John Francis Daley and Jonathan Goldstein. For those who don’t know, Daley is also an actor, appearing on tv shows like Bones and Kitchen Confidential, while Goldstein as written screenplays for projects like Horrible Bosses and Vacation. Together, both Daley and Goldstein found success in their superhero collaboration screenplay for Spider-Man: Homecoming, which won both the directors chair for directing Flashpoint, the standalone DC comics Flash character film that’s apart of the DCEU franchise. 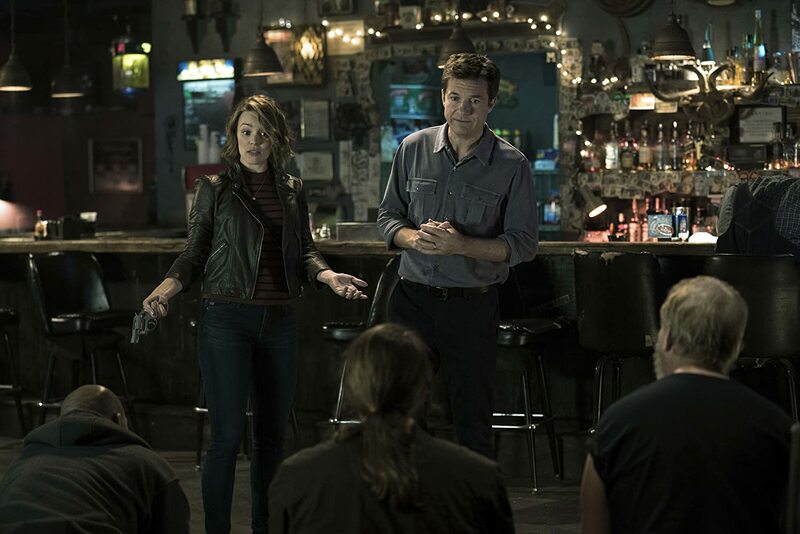 Thus, given that notion and credibly, Game Night marks their latest attempt in directing a feature film about an average “murder mystery” game night event gone horrible wrong. Thus, the film’s initial setup for Daley and Goldstein works sublimely, finding their groove when it comes to setting up events in keeping the movie running at brisk pace (the film’s runtime is 100 minutes long and really didn’t feel either long or short…. which is good). This, along with the movie’s screenplay penned by Mark Perez, aids to the overall flow of Game Night, with Daley and Goldstein allowing its characters to run around and escalate events, with some reaching absurd. Additionally, this allows the comedy premise of the film to sink in, which many of the actors and actresses up for the challenge of providing some comedic timing as the act and reacts towards the night’s wildly scenarios (there’s plenty of various sight gags and dark humor throughout the film). In terms of technical filmmaking, Game Night, while labelled as a comedy film, does offer a few nifty effects that make it (on a technical level) look better than some of its competition. Mainly, the movie gets credit for creating several creative ways in transitions, slick camera angles / movements, and visual comedy gags that give the film an interesting feel. One scene in particular is worth pointing out, finding a chase scene (around a mansion) that’s really well-staged and choreographed great with interesting camera angles. Thus, the film’s cinematographer Barry Peterson must be mentioned for his work on Game Night as well as the movie’s editing team (David Egan, Jamie Gross, and Gregory Plotkin). All other elements of the film, including costumes, hair / make-up, and musical score are good and meet the standard industry found in a comedy film. Unfortunately, Game Night isn’t as comedic gold as it’s cracked up to be. Perhaps it’s biggest disappointment (to me at least) is the film’s balance of comedy. Yes, as I stated above that the movie does have its moment of being funny with its various jokes and gags, but, more often than not, I felt that these humorous jokes didn’t really land their own planes…or rather they landed but crashes along the way. What I mean is that suggested comedy nuances have their charm, but most of them aren’t quite as polished or sharp as it could’ve been. To me, it was completely a dud in the comedy aspect, but compared to other likes Sisters, Office Christmas Party, 21 Jump Street, and Girls Trip, Game Night just seemed adequate in the humor category, which was a shame. Additionally, the film’s setup, while fun and unique, lacks creative pizzazz and could’ve seeing the movie go “bigger” and go a completely different direction in certain elements. However, both Daley and Goldstein seem to play it safe and just provide a feature film that’s essentially a “paint-by-numbers”. Predictable and formulaic are the simplistic nature of the game as the movie’s narrative does seem to flow that overtly familiar path. It’s assuming to see the various characters react and to try figure out what is and what’s not a part of the game, but the film lacks creative timing and imagination within its story to find a strong stride. Additionally, the film’s action aspect is little bit light and seems lackadaisical, showing up mostly towards the end within the movie’s several twists, which are fairly obvious to see coming. I don’t know…. maybe I was expecting more as I was quite taken with the film’s marketing campaign as the movie really didn’t pan out to my satisfaction, which is a shame because I wanted to like it as much as others were saying about this movie. While the film does lack in certain areas, Game Night does make up for that in its talented ensembled cast, which is a mixture of recognizable faces as well as some lesser known ones. Leading the charge as the film’s two main protagonist characters is actor Jason Bateman and actress Rachel McAdams as husband and wife couple Max and Annie. Bateman, known for his roles in Office Christmas Party, Arrested Development, and Couples Retreat, is pretty adept in playing either a central or supporting role in a comedy movie and does again in Game Night, finding his “bread and butter” groove as the straight-laced / smooth individual who finds humor beats throughout the film. Likewise, McAdams, known for her roles in The Notebook, Mean Girls, and The Vow, handles herself well as Annie, which shows her role in a comedy film is a solid one. Together, both Bateman and McAdams have great chemistry with each other and are fun to watch in their various interactions. It is for this reason why, despite the film’s problems, does succeed as they the pair help anchor the film with the necessary star presence. The rest of the main characters found in Game Night are, more or less, the secondary players that make up Max and Annie’s game night entourage. This includes actor Bill Magnussen (Into the Woods and Bridge of Spies) and actress Sharon Horgan (Pulling and Catastrophe) as the dumb-witted Ryan and more intellectual Sarah (Ryan’s new love interest) as well as actor Lamorne Morris (Sandy Wexler and New Girl) and actress Kylie Bunbury (Under the Dome and Pitch) as Kevin and Michelle (the couple who married young). These couples do get their own minor subplot storyline to fill in their runtime with the film, but sometimes their storyline could’ve had a bit more “oomph” (substance) had to make their payoffs slightly better. Nevertheless, their inclusion in the movie is elevated by their respected actors / actresses’ presence rather than how their character is written. In short, nobody in the cast is particularly bad, but it’s definitely Bateman’s Max and McAdam’s Annie show. 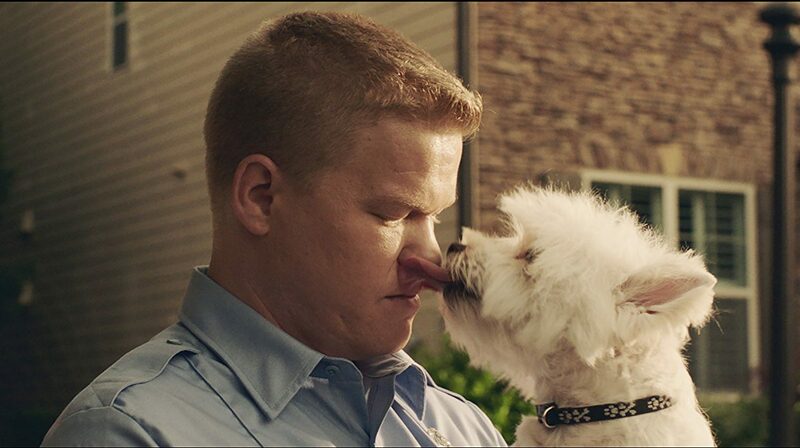 That being said, of all the supporting players, the true standout performance in Game Night is given to actor Jesse Plemons, who plays Gary Kingsbury, a police officer and former friend of Max and Annie’s who was cut from the game night gang after a painful divorce. Known for his roles in Battleship, Black Mass, and The Master, Plemons’s performance is definitely one of the most memorable ones in the entire film, painting the character in a sympathetic light as well adding a sense of awkward creepiness to his portrayal of the quirky and off-kilter Gary. Personally, I think he was the funniest one of the entire bunch, more than Bateman and McAdams. Behind him is actor Kyle Chandler (King Kong and Manchester by the Sea) who plays Brooks, Max’s older brother. Much like Bateman in the movie, Chandler is right at home in playing a character who is sleazy and arrogant (i.e. drumming up a sort of sibling rivalry older brother between him at Bateman’s Max). That being said, the character of Brooks, despite playing an important part in the narrative, seems to be the least developed character of the feature, but that’s more on the script than Chandler’s performance. Rounding out the cast in smaller supporting roles are Michael C. Hall (Dexter and Gamer) as the mysterious man known as “The Bulgarian”, actor Danny Huston (Wonder Woman and X-Men Origins: Wolverine) as the powerful man named Donald Anderton (under the alias name Marlon Freeman), and actor Jeffery Wright (The Hunger Games: Catching Fire and Casino Royale) as an unnamed actor character playing an FBI Agent. Max, Annie, and the rest of their friends prepare for the most dangerous / real-life “game night” they’ve ever played in the movie Game Night. Director duo John Francis Daley and Jonathan Goldstein newest film provides a unique and assuming concept setup for a feature film that provides enough antics and nuances for the big screen comedy-action endeavor. Unfortunately, while the setup is there and the cast (and their talents), the movie just feels stuck and seems light on its action aspect and not as downright hilarious as it could’ve been. Personally, I though this movie was okay. Yes, it had its moments and I loved the premise (as well as the cast), but I just expected the movie to be more uproariously funny and zany, which would’ve been more beneficial the film’s overall proceedings. Thus, my recommendation for this movie is an “iffy-choice” or maybe just a rental as it’s a screwball comedy film that won’t go down as classic in modern comedy movies. 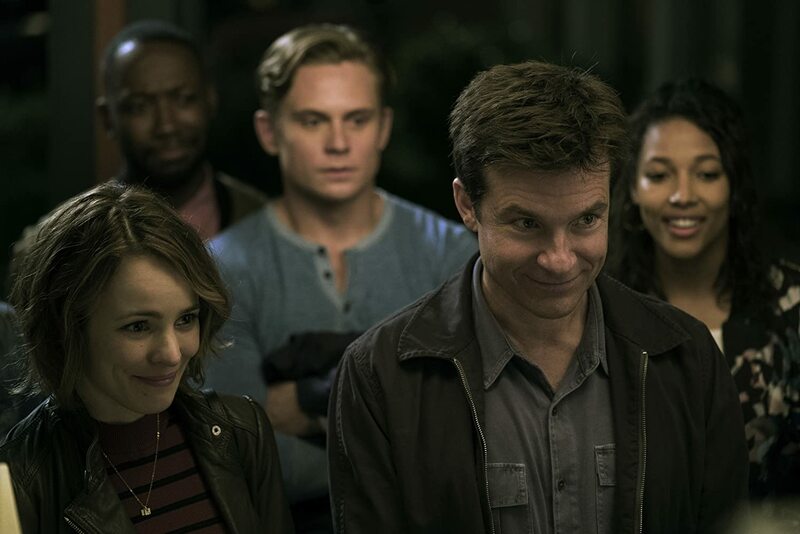 In the end, Game Night could’ve been a major contender for being a high valued comedy film. However, the end result is something that gets stuck in the middle; neither good or bad….as its just simply a roll of the dice. I’ve been reading and hearing a lot of good things about “Game Night”, but my instincts told me I would find it mediocre – if your review is any indication Jason, that instinct may well be right. Guess I’ll just have to see it for myself! Haha…your right on about your instincts. I mean it’s not a total waste of a film, but it’s just okay and now near a great comedy feature. Though, i did like the cast. Now that I’ve had the opportunity to see “Game Night”, well… let’s just say I found myself being proved wrong. I guess films like this prove just how subjective comedy can be. I liked this quite a bit. But yes, it did feel stuck here and there. Well, at least you liked it. I just couldn’t see why people are saying its a great comedy film. Ah, yes, the perfect type of movies to watch on long haul flights to pass the time. Haha…you’re probably right about that. No real rush to see in theaters on buy it on home release. Haha…i wish i could see the hilarious humor in the film as you did. I was really looking forward to this and walked away a tad disappointed. haha…i gotcha. Yes, that scene with the dog was pretty hilarious (i laugh a lot during that scene). Sounds like a movie for the plane! Yeah, exactly. Definitely does indeed! I got a lot of mileage out of this. A few big laughs but moreso than anything I felt it was consistently funny. But then again, I love dry humor and Bateman’s always been one of my favorites. Plemons probably does steal the show, though. Dry humor…haha. Maybe that’s why. I like more physically and slapstick humor. I just felt the movie was mediocre and could’ve been better. Totally fine haha, that’s what makes people different in a good way, and comedy hits with everyone differently. Found out years ago I share a birthday with Jason Bateman…team Capricorn. Apparently Capricorns are known for their dry delivery and what not. LOL! Well, at least you enjoyed the film. To me, i loved the film’s cast and the setup, but the comedy and action aspect was pretty “blah”. Really? Well, that’s good for you. To me, I’ve seeing better and more funnier films. Still, i guess that’s the opinion on movies and comedy. We went and saw this and I’m torn on how to describe my reaction to it. Overall, the movie was mediocre, but somehow I found myself laughing in near hysterics through most of it. It didn’t hurt that the woman who set in front of me is as easily entertained as I am and laughed with a deep belly laugh through most of the movie. I think we fed off one another. But it made for a great, relaxing night and a lot of fun. Probably better to be rented than seen on the big screen by most people, but for me it was utterly enjoyable. The best comparison I can think of is Adventures in Babysitting. For some reason to me it had the same feel as that classic. Rachel McAdams really reminded me of Elisabeth Shue circa 1987. When she was flapping the gun around in the bar I kept imagining her saying “don’t ___ with the babysitter”. Well, at least you found humor in it. Personally, i didn’t find it uproariously hilarious as some have. Yes, the premise was amusing and some of the situation were funny, but it wasn’t super awesome hilarious. I guess everyone’s “funny bone” is tickled differently.